ALL IN THE FAMILY. The Bascones family of the resto Fishes Seafood & Wine at Il Corso, from left, administrative and marketing manager Jocille, parents Mary Lilian and Nelson, and operations manager Jeru. CBM 2019 MANILA ROADSHOW. 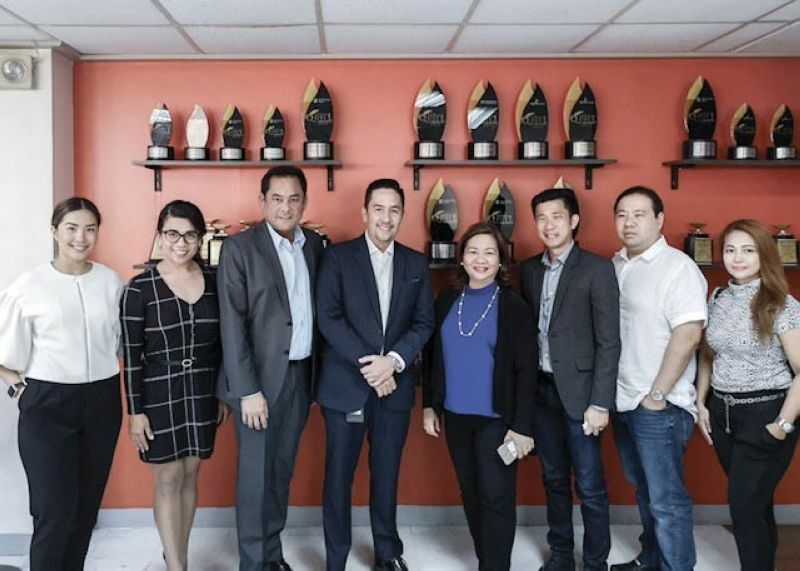 During the meeting with PLDT Enterprise, from left, PLDT Enterprise executives Keith Zabala, Mikey Smyth, Mitch Locsin and Jovy Hernandez, with the Cebu Business Month 2019 group: chairperson Lilu Aliño, ways & means chairman Regan King, advisor Christian Paro-an and division head Maribel Melgar. VISIT. Sen. Grace Poe visits Chester Cokaliong, founder, chief executive officer and chief operating officer of Cokaliong Shipping Lines Inc. last March 30 at the company’s headquarters. 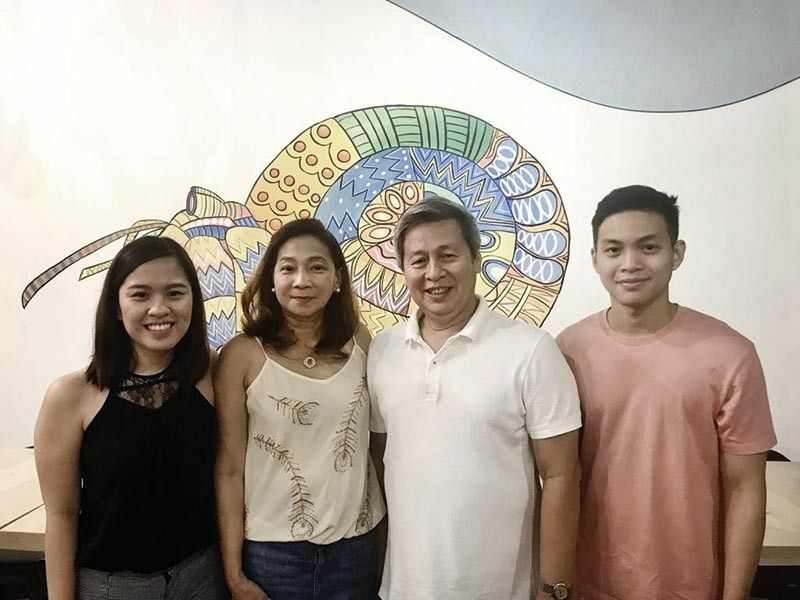 THE Cebu Business Month (CBM) of the Cebu Chamber of Commerce and Industry is set for June but preparations are in full swing with CBM 2019 chairperson Lilu Aliño and her team on the go. They recently embarked on a roadshow in Manila to forge partnerships with leading companies. This year’s theme is “Innovation in Action” and this means discussions on the importance of innovation in all aspects of business in this digital age. Among the activities are exhibits, summits, tourism forums as well as a golf tournament. Grand opening salvo is set for May 31 at The Terraces of Ayala Center Cebu. Cathay Pacific’s (CX) newest destination in the land of Uncle Sam is Seattle, Washington. The four times weekly non-stop flight was launched last March 31... this was the happy news shared by CX country manager Phil. Rob Bradshaw during an intimate lunch with media friends at Marco Polo Plaza Cebu’s Hai Shin Lou. The eighth Cathay Pacific destination in the US will be serviced by the technologically advanced Airbus A350-900 aircraft. Another development is the new scheduled seasonal service to Komatsu, Japan, which began April 3 and will end on Oct. 26. This will be a twice-weekly service using Airbus A330-300 aircraft. Komatsu is the gateway to Ishikawa Perfecture known for its beautiful landscapes and rich cultural attractions. District sales and marketing manager Hazel Tagimacruz also pointed out that Hong Kong’s home airline “draws on its roots by rolling out new ‘Hong Kong Flavours’ dining series across all cabin classes” which means passengers are treated to authentic Cantonese dishes. What’s more, there is something new at The Pier Business Class Lounge - The Sanctuary by Pure Yoga, a yoga and meditation space. Oh yes, Cathay Pacific thinks of everything for the comfort and wellbeing of its passengers. It was a gathering of people from the travel industry at La Gondola of Waterfront Cebu City Hotel and Casino one lovely Sunday evening. General manager Jake Acasio Mendoza of Juan World Philippines (travel wholesaler) and sales executive Jael Garcia of Emirates (airline partner) held court together with Ann Momongan of Flaneur Travel to discuss the upcoming Scandinavia and Russia tour packages set sometime in November. And there was Japan-based Elgin Agrigento of MS Tourist Japan Ltd., talking about Japan tour packages. All very tempting! Il Corso at the South Road Properties is developing beautifully with restaurants lining its seafront. One of the new restos in the area is called Fishes Seafood & Wine, a venture of couple Nelson and Mary Lilian Bascones who started out with a seafood resto in Lahug. This time around, they have delegated much of the work to daughter Jocille who is administrative and marketing manager, and son Jeru who is operations manager. The brother-sister team is hands on with Dad and Mom overseeing them. But of course, their seafood specialties are super yum! Another team we met at Fishes was Filinvest Lifemalls marketing manager George Calles and marketing officer Hanski Garcia, who proudly announced that the township development in Il Corso is on sked. In the pipeline are a convention center, a supermarket, sports facilities and possibly, a hotel. Cokaliong Shipping Lines chief executive officer and chief operating officer Chester Cokaliong welcomed senatorial candidate Grace Poe when she was in town last week. Chester’s office is a favorite stop of the senatorial candidates because he is such a friendly and genial person. What’s more, Cokaliong Shipping Lines has a wide reach with its fleet of 13 ships plying the Visayas/Mindanao seas....surely a big boost to any national candidate Chester chooses to support.